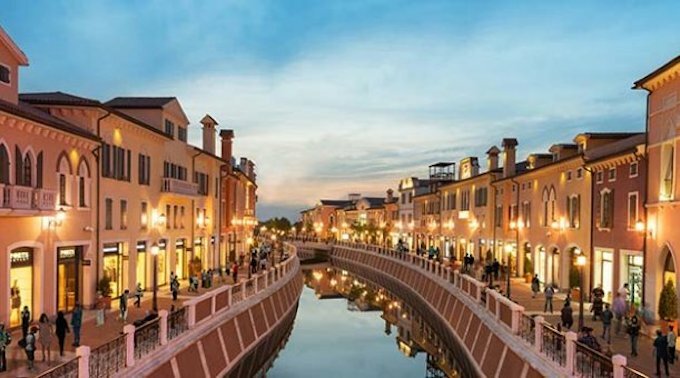 Leading Asian vacation ownership programme Anantara Vacation Club has announced a strategic partnership with Florentia Village, China’s leading chain of luxury Italian fashion outlets. At Florentia Village, customers will find over 200 renowned brands from across Europe, the United States and Asia, including a wide range of luxury goods at a year-round discount of up to 80 per cent off. There are six key locations covering Tianjin, Shanghai, Guangzhou, Hong Kong, Wuhan and Chengdu. All Anantara Vacation Club owners residing in China will be automatically enrolled into Florentia Village’s reward programme as Gold cardholders as part of the new partnership. These cardholders enjoy exclusive benefits at Florentia Village locations, including access to VIP lounges, activities and parking, discounts, yearly points redemption, special event invitations and more. In 2019, Florentia Village’s Gold cardholders will enjoy the opportunity to exchange their Florentia Village points for Anantara Vacation Club Points, effectively enabling them to make use of nine Club Resorts and indulge in luxury holidays without any cash payment on their part. Maurizio Bisicky, chief operating officer at Anantara Vacation Club, said: “We are very excited to be partnering with China’s premiere retail destination to bring more benefits to our Club Points Owners living within or travelling to the country. Maurizio Lupi, managing director of Florentia Village and RDM Asia, added: “As a leading lifestyle destination, we are always striving to enhance the experience and benefits for our valued members, who are not only from China, but also tourists from surrounding Asian countries. Over the course of the rest of 2018, Anantara Vacation Club and Florentia Village will continue to work together on special offers and events designed to be mutually beneficial for each of their membership bases.